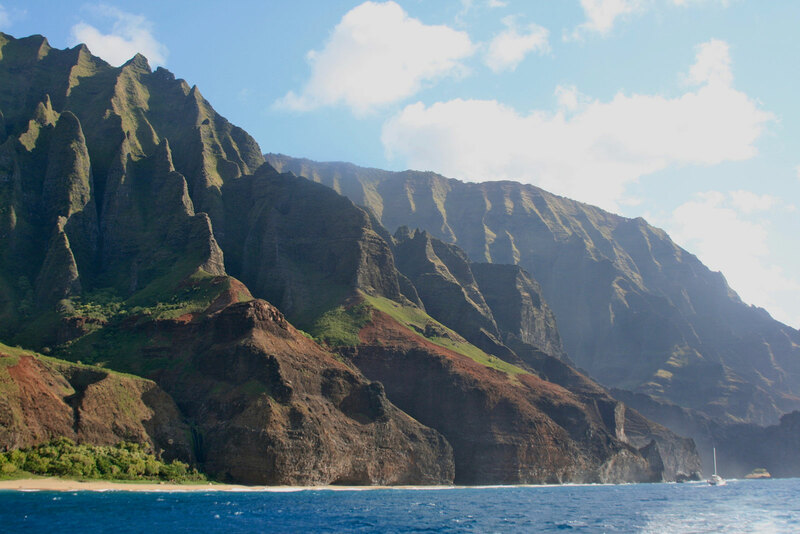 Hawai’i is one of those places that has more things to do and see than you first realise. Unless you’re spending a long time there (which would be great!) you almost have to choose what aspects of it you really want to see. We felt like it was one of those places that would require multiple visits to really take it in. We stayed just a couple blocks away from the main strip of Waikiki beach in a hotel with a kitchenette which was perfect for storing our snacks and drinks. We even cooked dinner twice. It’s good to always have the option. But that being said there are so many good eats in Hawai’i so plan to indulge. Another tip is definitely rent a car. 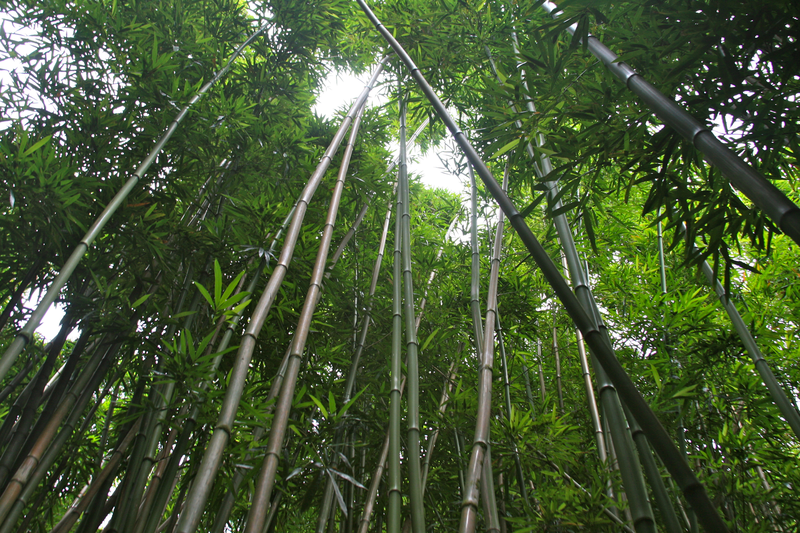 You will want to get around and explore all of O’ahu and this is the most practical way to do it. Try to use your points or coupons to rent or whatever it takes if your conscious of your budget. It’s worth it even if you have to cook a few meals while you’re there. One of the highlights of the trip was freely exploring the whole coast. We stopped and took in the sites and enjoyed almost all the accessible beaches on the island. We would not do it differently. And you shouldn’t either especially if you have only a short stay. 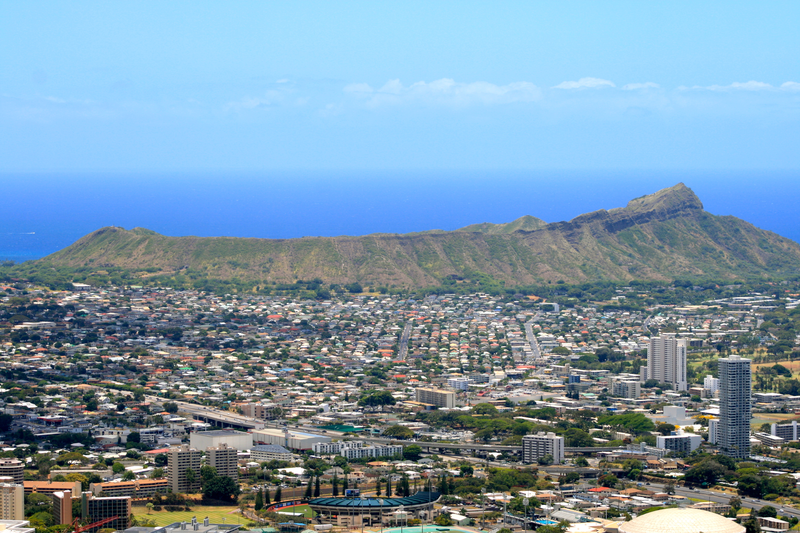 Using O’ahu as a “home base” is great because it itself has plenty to do and it’s also fairly central with easy access to the other islands. Since we didn’t have too much time we decided to focus our attention mainly on O’ahu with a few jaunts to the other islands. Here are a few things we enjoyed broken down into a few categories. Short, nice trail. Beautiful wildflowers. Not too difficult but can be slippery when wet (which can be often in Oahu) so take care and have on good footwear like runners no flip flops. 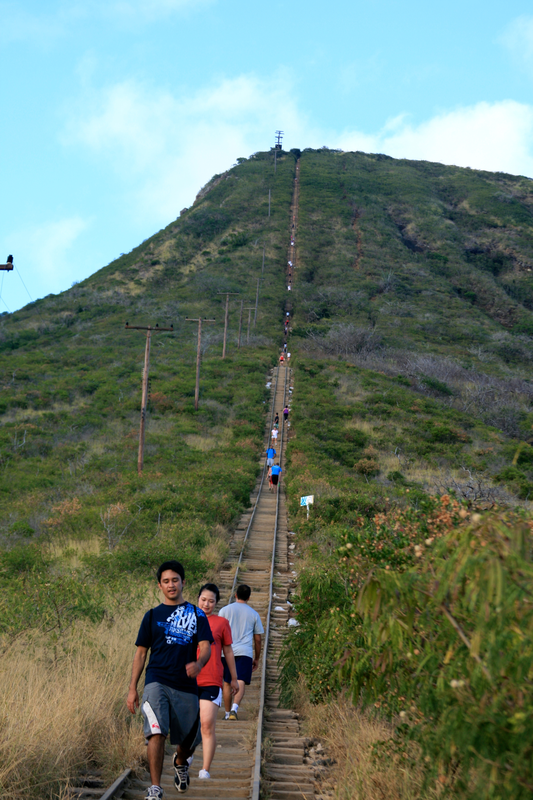 Koko crater trail is not too far from Hanuama bay and the view from the top is just awesome In every direction. The day we went up had a lot of clouds in the sky but they say that on a clear day you can see all the islands. 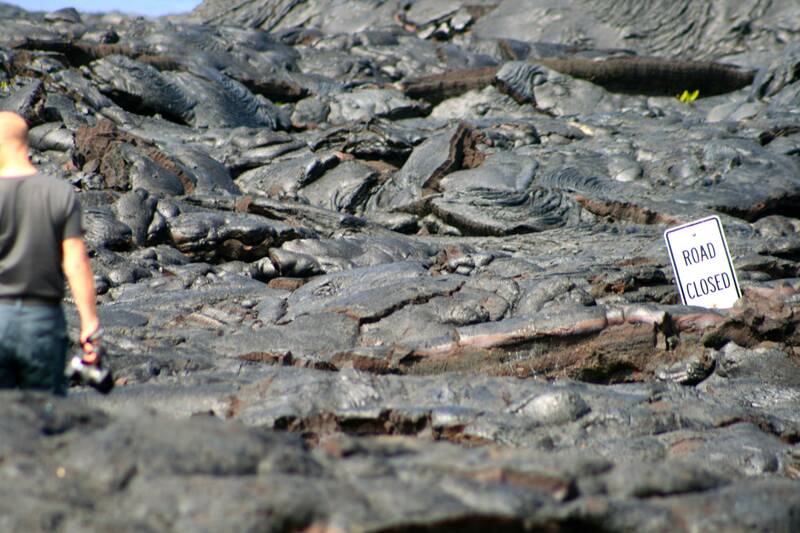 It’s an old railway cargo track from WWII and was also featured on an episode in Hawaii Five 0. It’s often referred to as nature’s stair master and has approx 1,048 ‘steps’. The hike isn’t for the weary and not so great if you have bad knees. Right from the start of the trail you will ask yourself “why am I doing this?” And you will continue to ask yourself that as you go up. It’s literally like doing ‘climbing’ lunges. So definitely be prepared to sweat,(no wonder it’s a place that many locals use to workout) bring lots of water and your camera. I’m a sucker for punishment so I totally loved it and the feeling when you reach the top is exhilarating. So pace yourself and take frequent breaks to enjoy your surroundings and catch your breath. Nu’uanu Pali lookout is a gorgeous spot to enjoy scenic views and take some amazing pictures of the windward coast of O’ahu. It’s pretty windy so bring a light jacket. The unique mountain ranges (which are breathtaking) as well as other landmarks can be seen in their full glory. 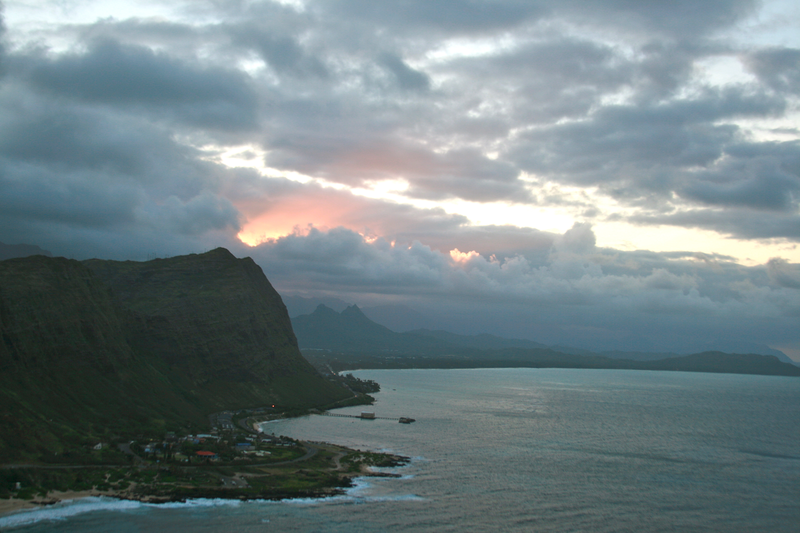 You can get different views by taking a trail at the lower end of the lookout that follows along the Old Pali highway trail if you have a little extra time to explore. 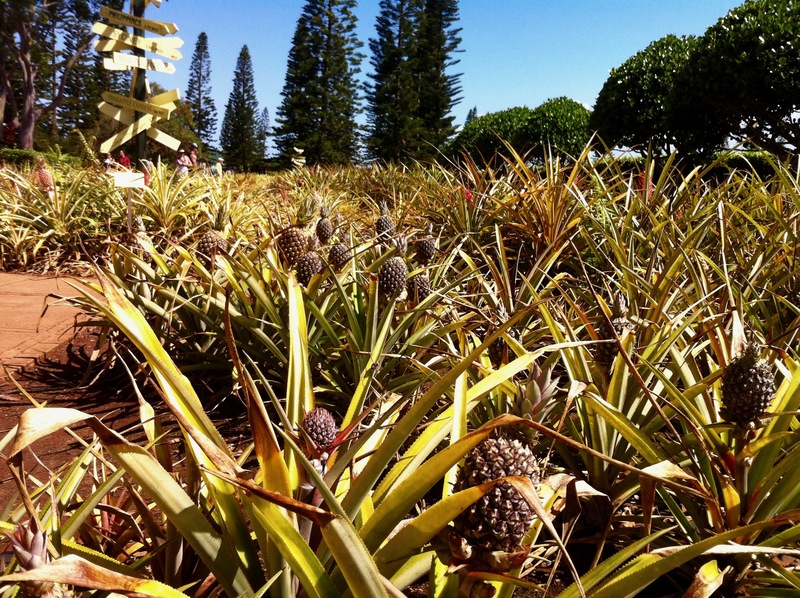 Dole plantation is worth a visit. It’s the complete pineapple experience, from seeing where and how they grow, to indulging in some pineapple treats like their creamy and deliciously refreshing pineapple ice cream. The shop has lots of treats and memorabilia if you wanted to take a little piece of Dole home with you. Once a volcanic crater turned - beautiful curved cove and home to 400 plus species of fish and you can also spot some turtles making it an important nature preserve and the most popular snorkeling spot on the island. Preservation is so important and before entering you must watch a 10-15 minute video about how to show care and respect for the reef and reef life, then you’re free to enjoy the clear blue water and snorkel to hearts content. Snorkel gear can be rented and there are also lockers available with a fee. There’s a fee to get in (under ten dollars) just so you’re prepared and make sure to go early in peak season because the parking lot gets full fast. For those not renting a vehicle there is a bus that takes you to the bay from Waikiki, you would just have to check the schedules. Be sure to take frequent breaks to reapply sunscreen to your back and neck (and head if you have no hair protection) because you can be easily distracted and spend hours out there not realising you’re burning! 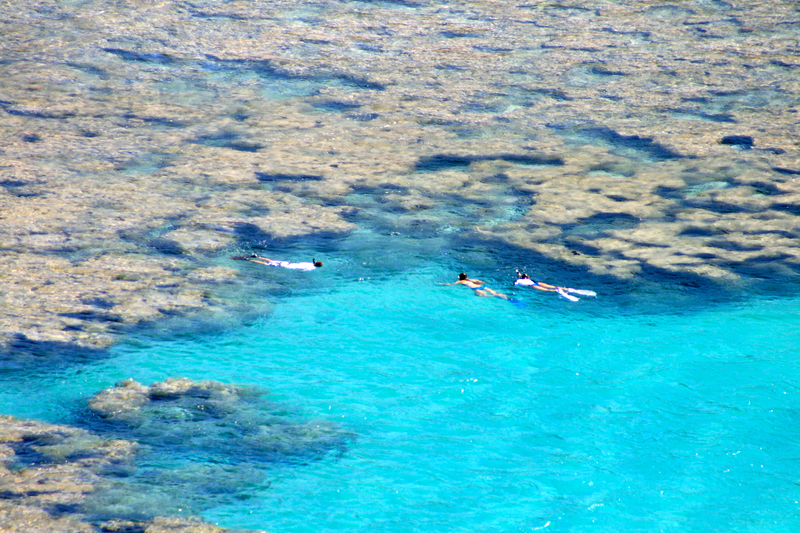 This is a free spot to come and do some awesome snorkeling along the north shore. It’s named after the white tipped sharks that frequent the area. They are not aggressive towards humans and if seen should be left alone. You must visit the Pipeline to watch surfers take the waves or surf yourself. While there pop over to Shark’s cove which is right nearby. The only thing is that there is very little sand under the water. It’s almost all rock that’s either slippery or sharp so extra care is needed and I would strongly recommend using water shoes. 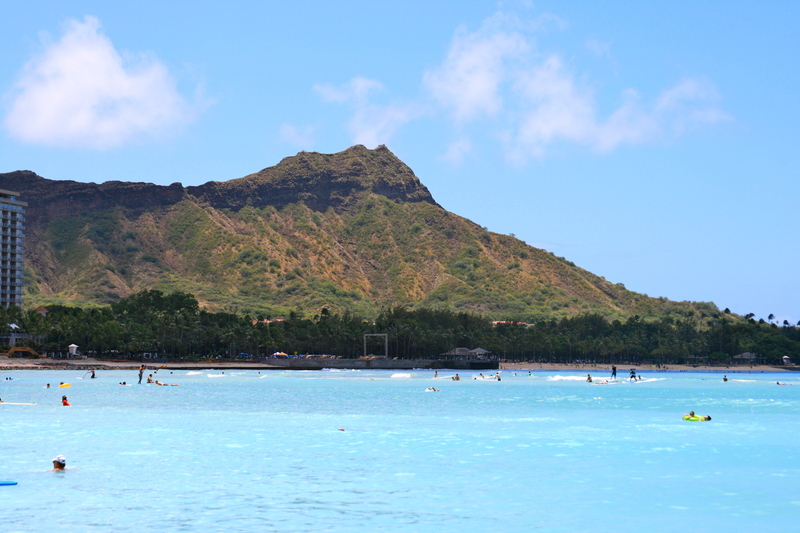 While O’ahu is wonderful and full of things to see, do and experience; the other islands have lots to offer as well. We were not staying for an extended period but we still wanted to get a taste of the other islands and that we did. We chose two islands based on what we wanted to see. 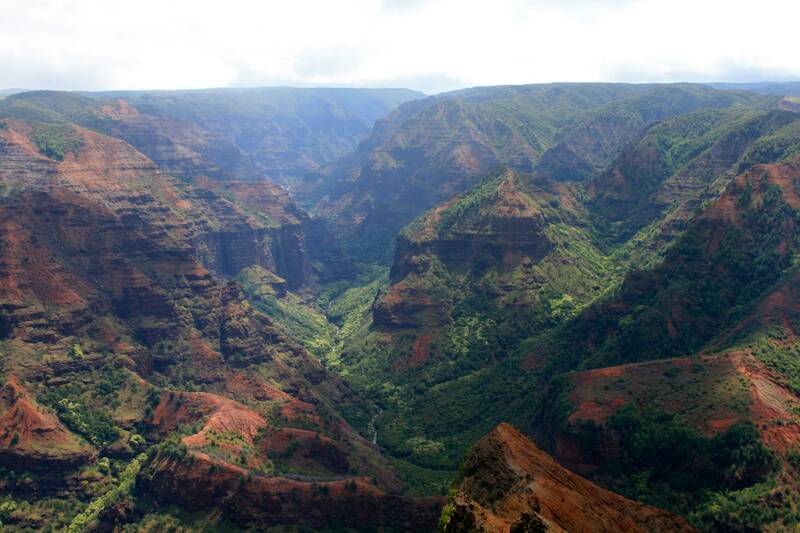 The Big island obviously for the active volcanoes but also Kauai for the Nepali coast and Waimea canyon state park which is considered the Grand Canyon of the pacific. It was an amazing experience and we don’t regret doing it at all. We flew over for the day. Left early in the morning and came back late at night so that we could enjoy a full day. We rented a vehicle and saw the sights. Now there are so many things to do and see on both those islands or any of the rest of them, so the key is to choose a top 3 list of things to do and don’t plan more than that unless the location of the things you want to see are in close proximity. Flying to the islands is pretty easy and can be booked way in advance (Hawai’ian Airline’s is one of the most popular inter-island airlines but there are a few others) You can prebook a car rental but many were renting cars as they arrived (prebook to save time though) and you can prebook excursions too. The key is to research and plan exactly what you want to do and allow time for traffic and unexpected delays. Even if you have one day to visit one other island it’s totally worth it. Simply put - you can’t leave O’ahu without going to Duke’s. It’s touristy and cliche, but it’s so accessible and has one of the best desserts on the island. The place is filled with memorabilia of the charming Duke Kahanamoku and digging into his history is well worth the time. But do not leave without getting a Hula pie. I still have dreams about this amazing ice cream cake topped with Hawai’i’s famous macadamia nuts. Oh and yes there is a plethora of food things with local macadamia nuts. Try to eat as much of them as possible. So yummy and you won’t be disappointed. The chocolate covered macadamia nut treats make great gifts and edible souvenirs. Like most warm cultures cold treats are a favourite in Hawai’i. Shave ice is a simple and sweet treat. It can be found almost everywhere and you can top it was a kaleidoscope of colours (I mean flavours). You can go from very simple to very extravagant. Two popular places to pick them up are in the North coast - Aoki’s and Matsumoto Shave Ice. If you don’t want to be taken for a tourist call it shave ice not shaved ice. 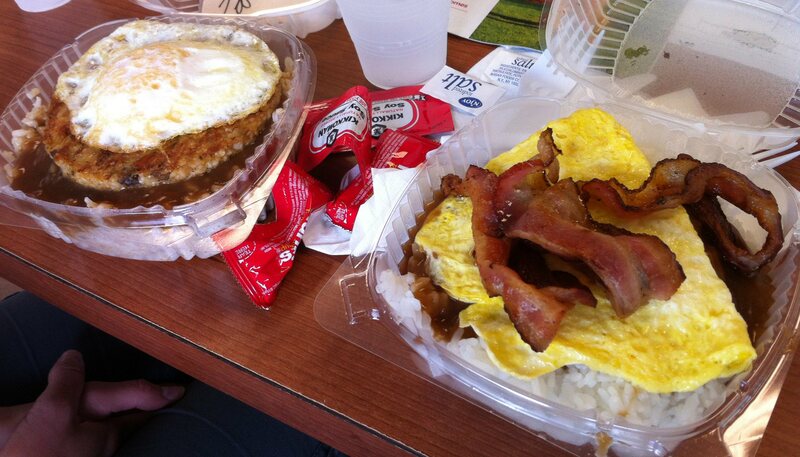 Loco Moco - Spam and rice, yum? A popular cheap meal that is also filling and served almost everywhere is loco moco. This is a meal in the contemporary Hawai’ian cuisine. It’s layered rice, meat of your choice, topped with fried egg, and a variety of sauce options. They have vegetarian options too. You can even get your spam fix if you wanted to. Malasadas are a Portuguese confection brought to Hawai’i from immigrants of the Madeira islands. They gained popularity as a favourite during Mardi Gras in the lead up to Lent by those early visitors. Traditional malasadas are deep-fried and rolled with granulated sugar. But like many other things on the islands, Hawai’ians have made them their own by filling them with cream, custard, chocolate or guava - just to name a few. I saved the best for last. This places is literally a reason in itself to make the trek to Hawaii no matter where in the world you live(featured on the Foodnetwork) Yes, it’s that good. Having a start as a food truck on the North coast, it’s popularity eventually made this a full-fledged restaurant. Relaxed, down to earth and unassuming the place perfectly reflects it’s chef and owner. He is famous for remembering people and what they had and often comes out of the kitchen to sit and personally take your order. Even though there was a menu, he kind of ‘interviewed’ us instead asking what we like, what we had etc. and then said ‘he had something in mind”. We didn’t know what he was going to bring but when it did, it was amazing. Customised food to your palate. Never boring, never the same. Just trust the man, he tries to out do himself every time. If you are a foodie do not miss. Hawai’i is awesome. And while we did enjoy our trip, there were things we just couldn’t get to. I would have loved to visit a macadamia nut farm, Diamond Head( was closed for construction) Ha’ikū stairs (despite the risks) and of course we only got a small taste of the other islands. We would love to go back and explore them more and even visit a couple of others. Yes Hawai’i is definitely a great place to chill and enjoy the beach and some relaxation but do take the time out for hikes and walks and to enjoy some of the most breathtaking views and experiences!! You won’t regret it.